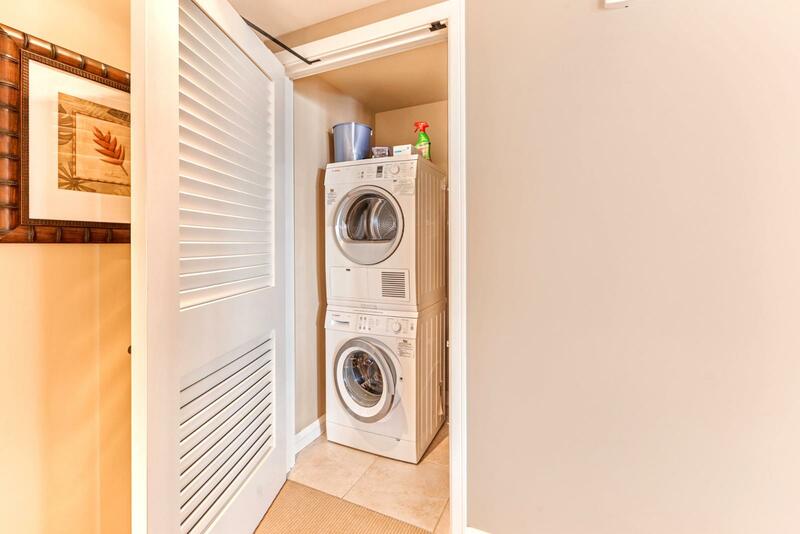 Size in/out : 1,350 sq.ft. 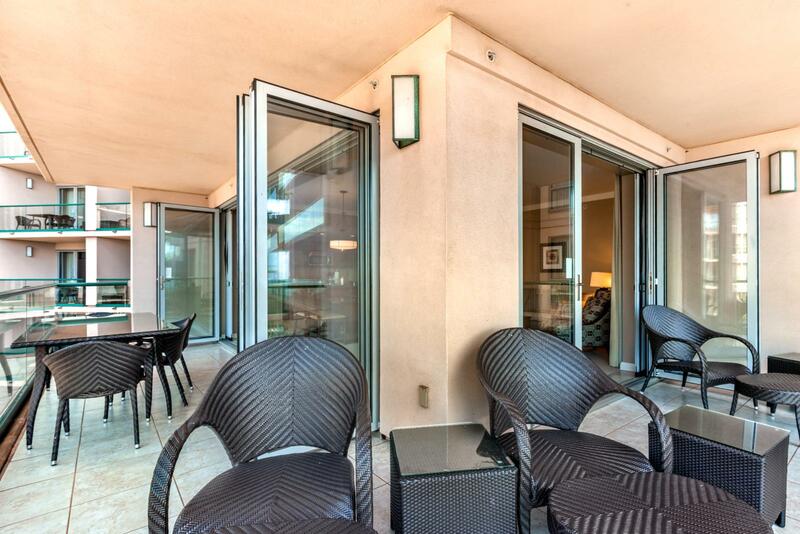 / 280 sq.ft. 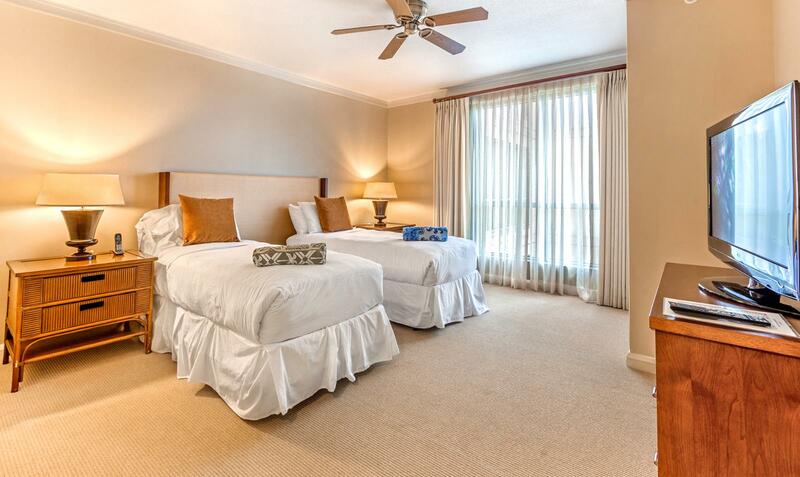 Jun 09 2019 - Jun 10 2019 * 1 night special only $271/nt. 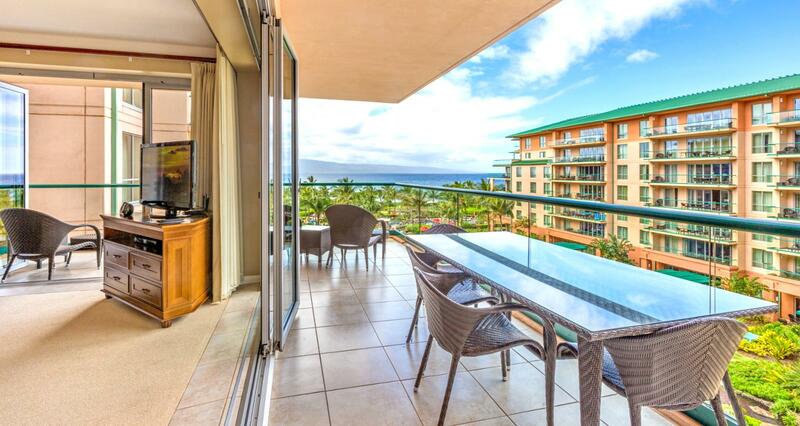 Jun 16 2019 - Jun 17 2019 * 1 night special only $271/nt. 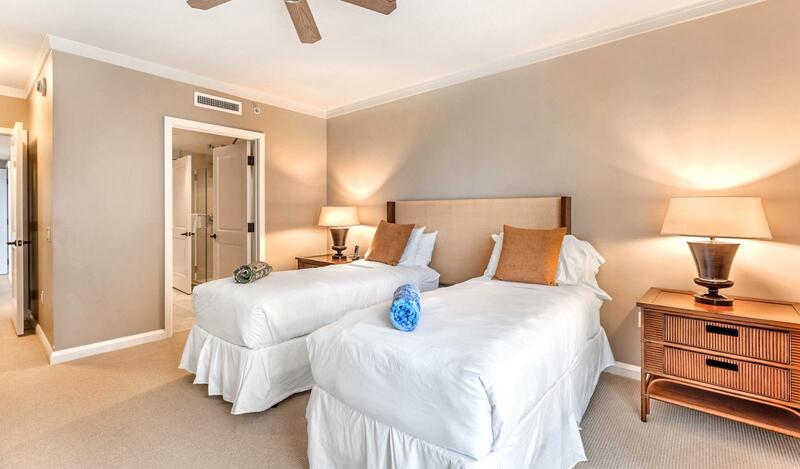 Jun 24 2019 - Jun 28 2019 * 4 night special only $369/nt. 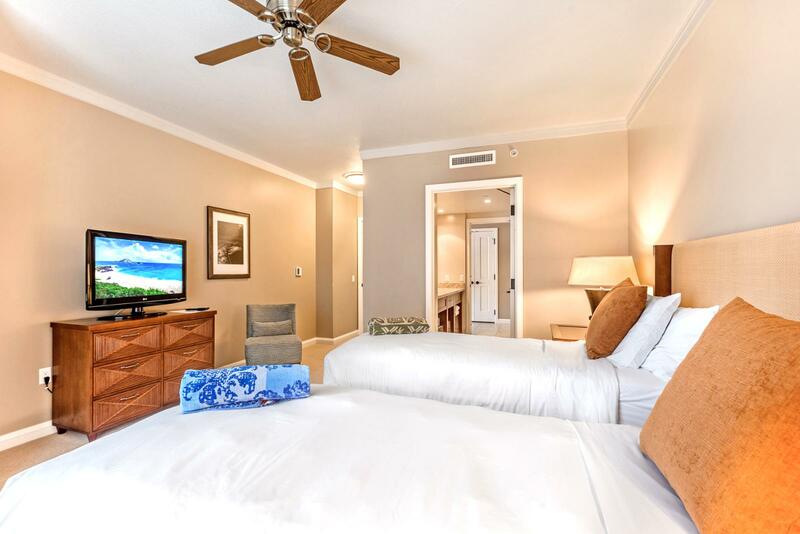 Jul 13 2019 - Jul 18 2019 * 5 night special only $482/nt. 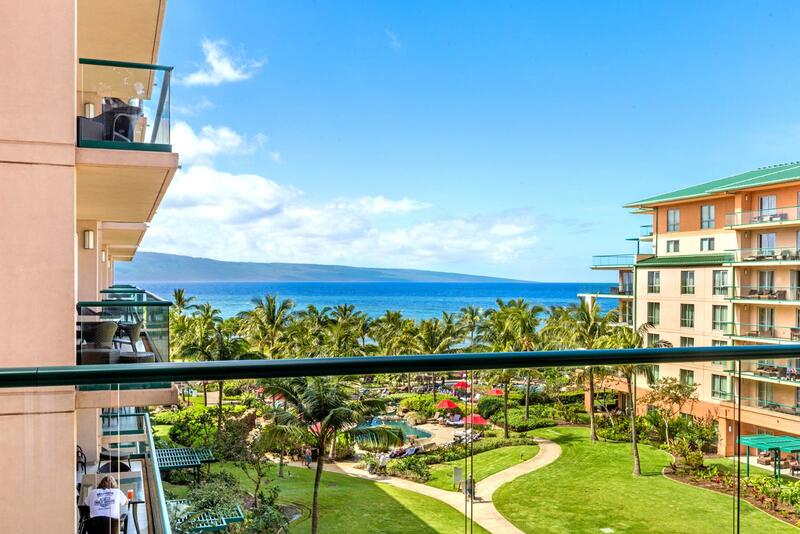 Jul 27 2019 - Aug 02 2019 * 6 night special only $579/nt. 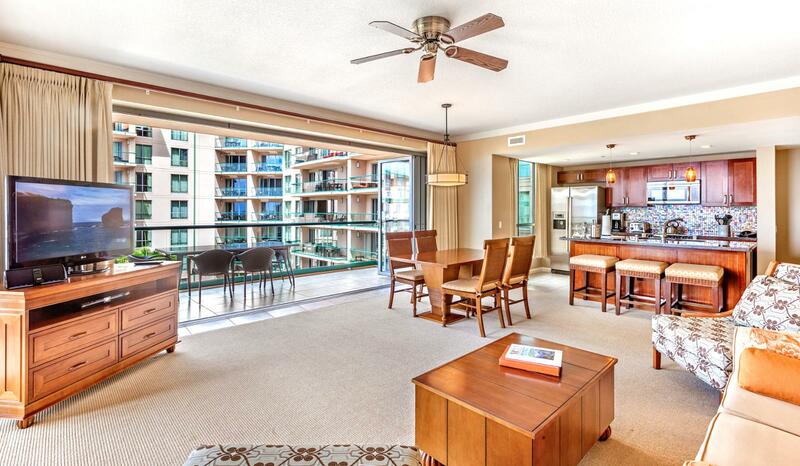 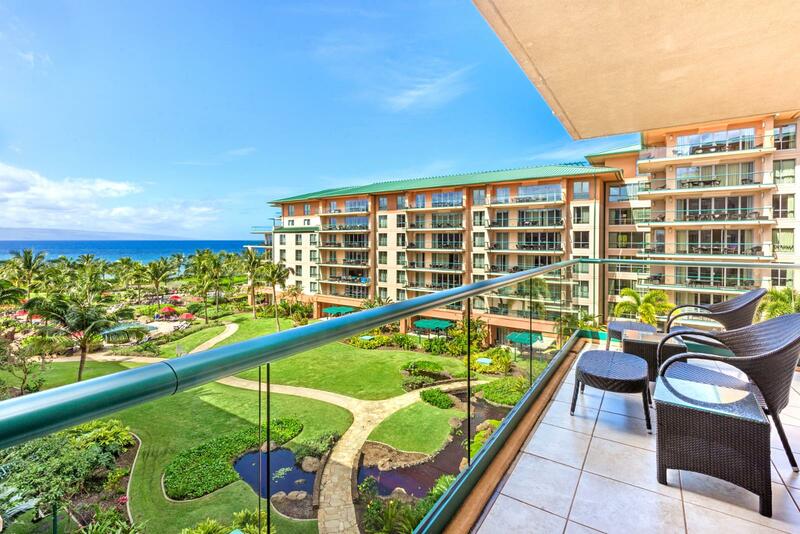 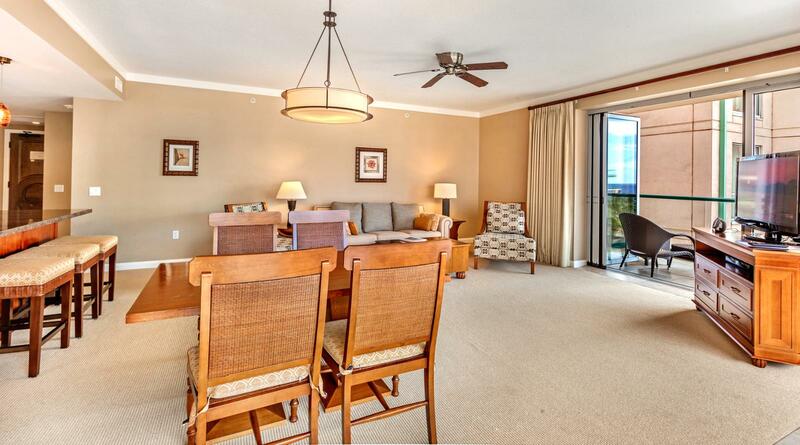 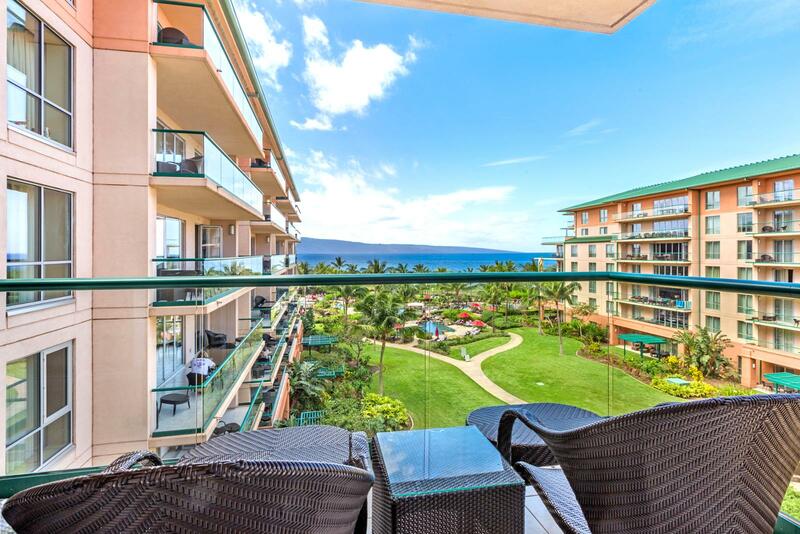 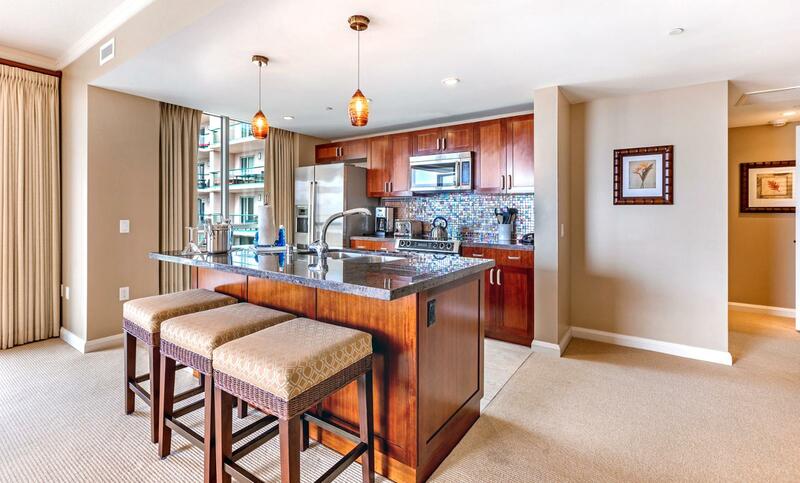 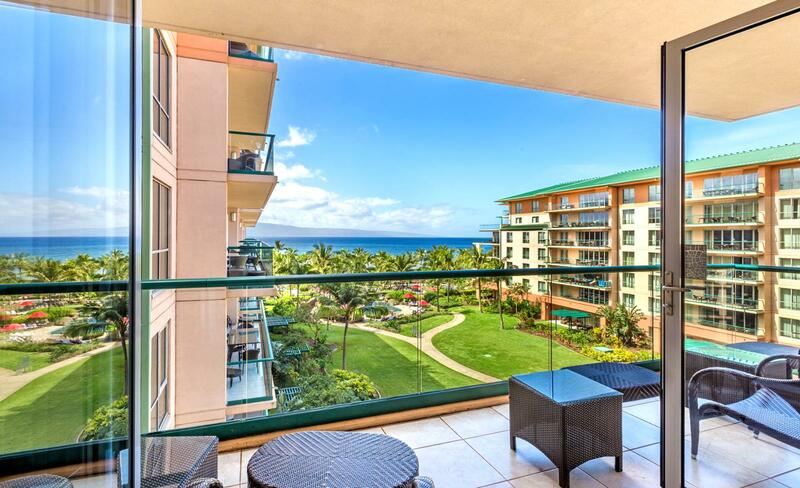 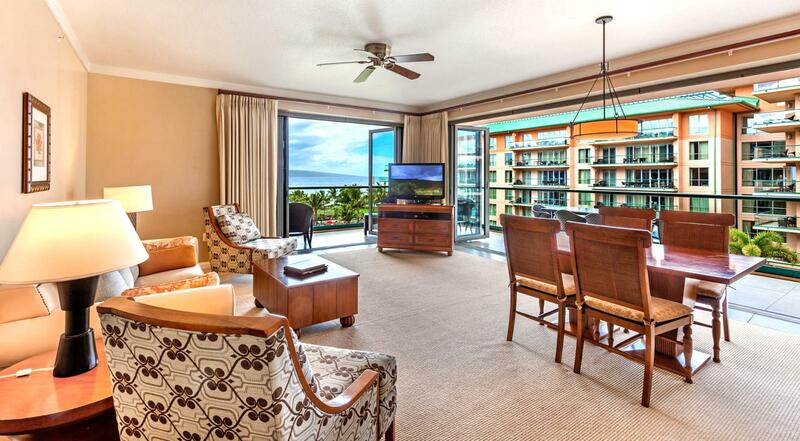 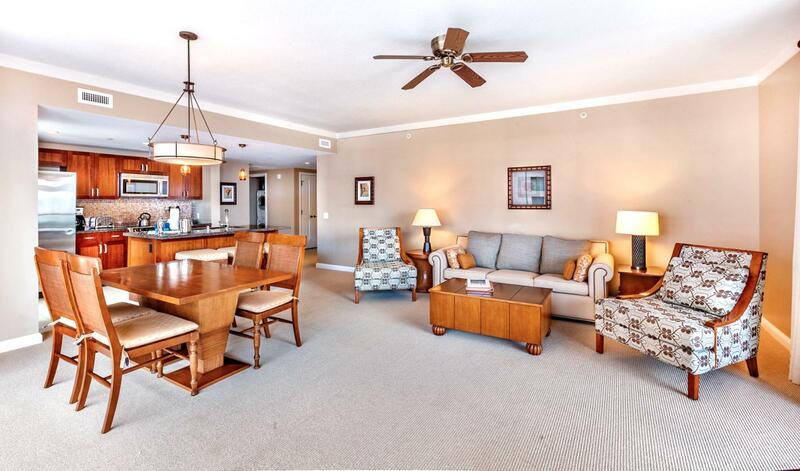 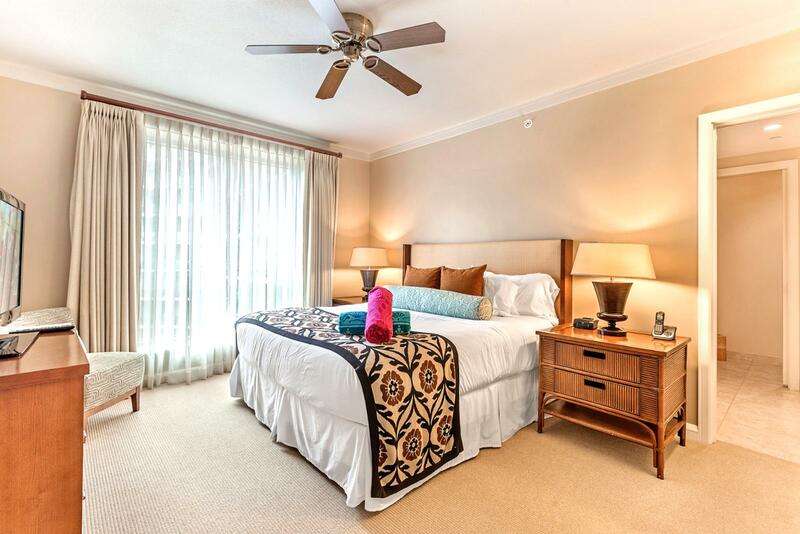 This gorgeous fifth floor suite has a large wrap around lanai and direct ocean views from the front bedroom, living room and dining table as well as direct ocean views from the kitchen and the lanai. 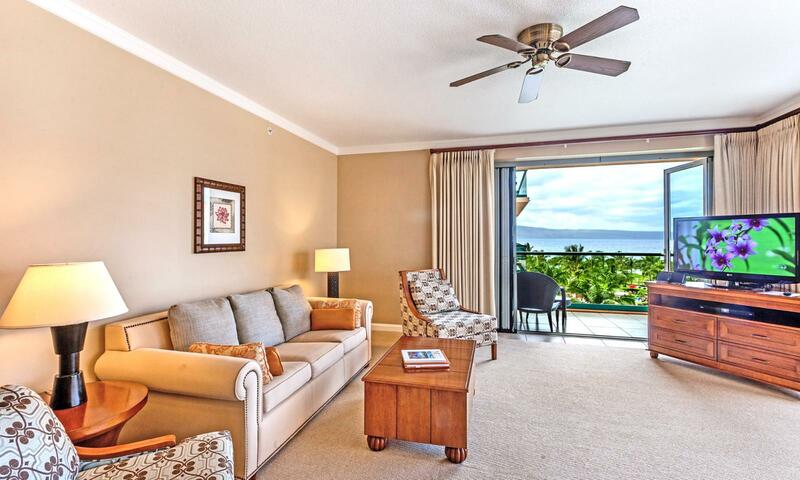 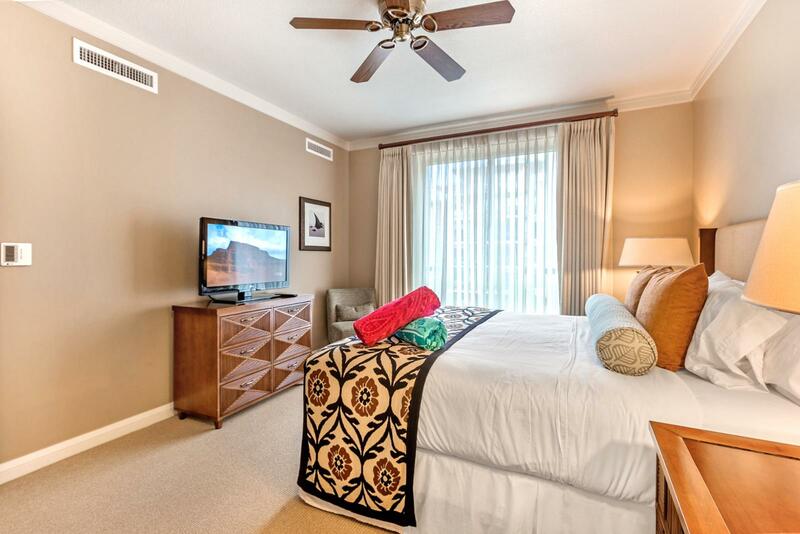 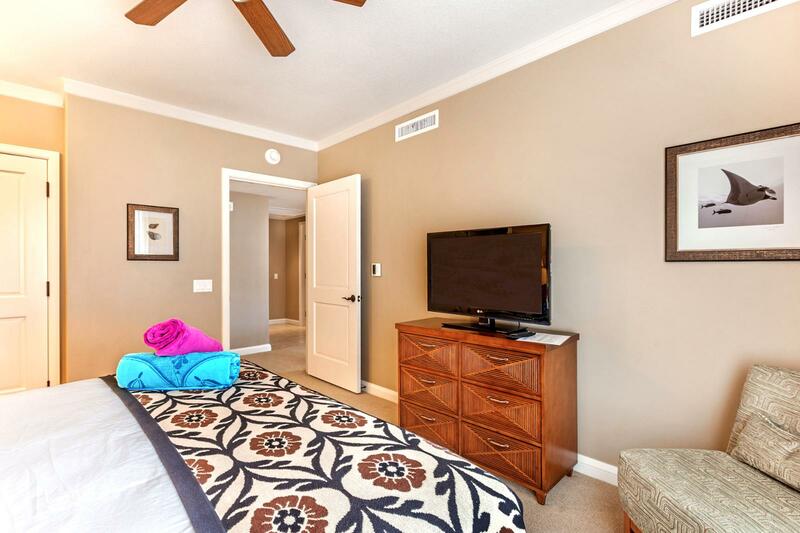 With two bedrooms and two bathrooms, this suite has 1325 square feet of interior space along with a 315 square foot lanai that wraps around the entire living area. 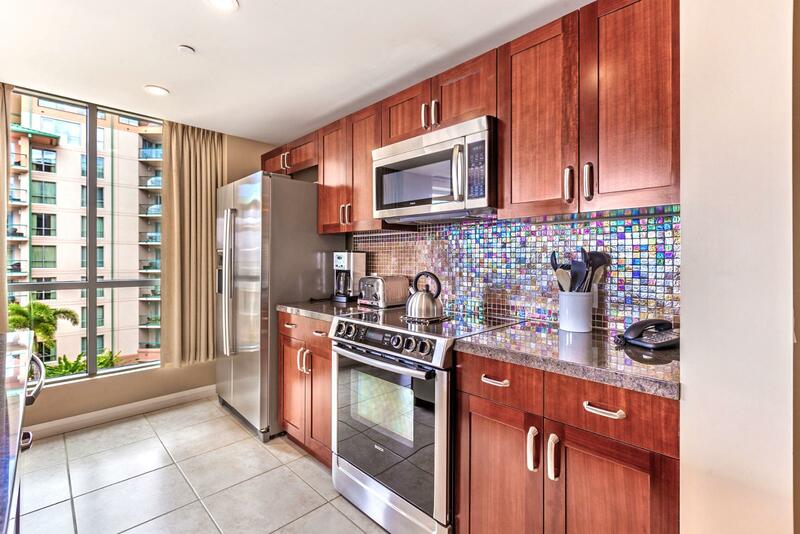 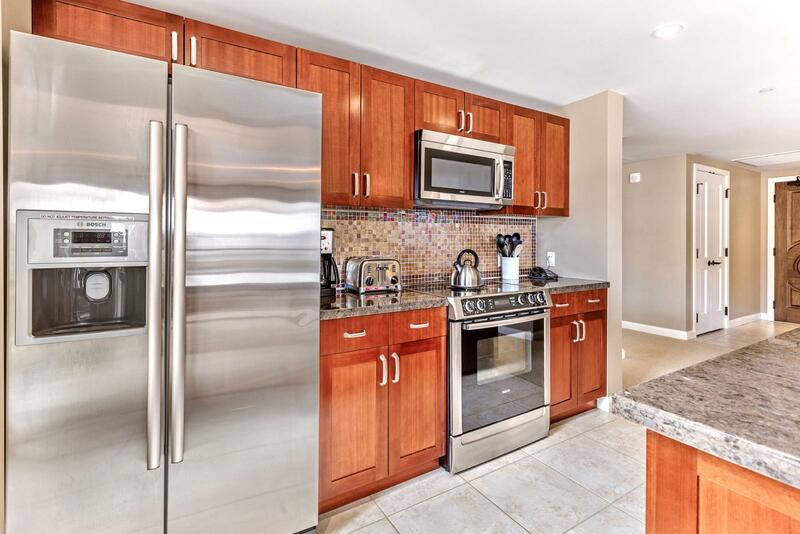 The suite has all the latest in high efficiency appliances by Bosch which includes a stainless steel refrigerator, dishwasher, microwave/convection oven, cooktop and range. 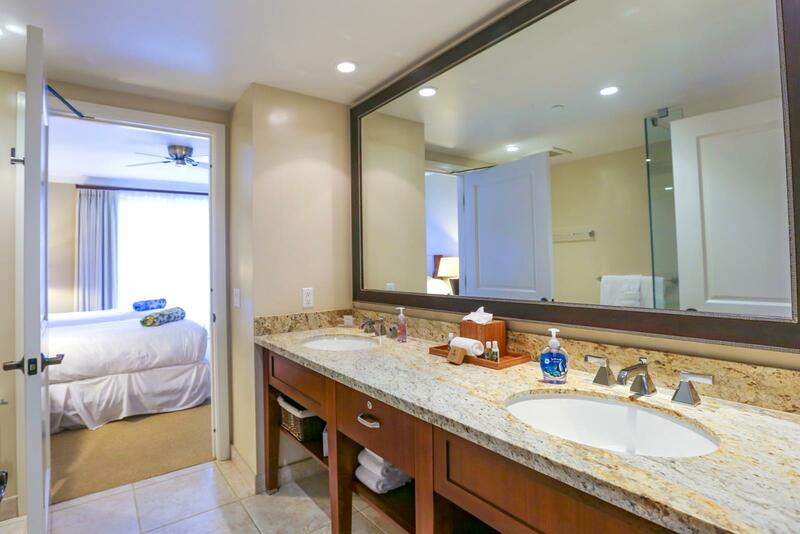 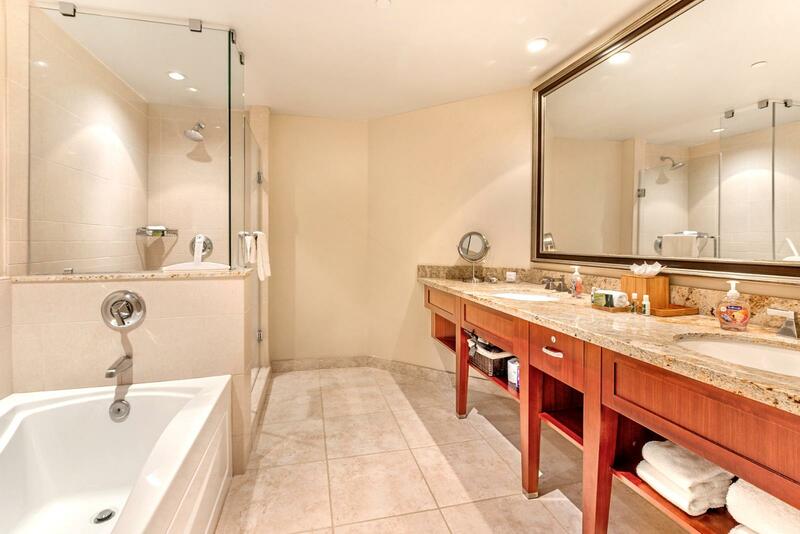 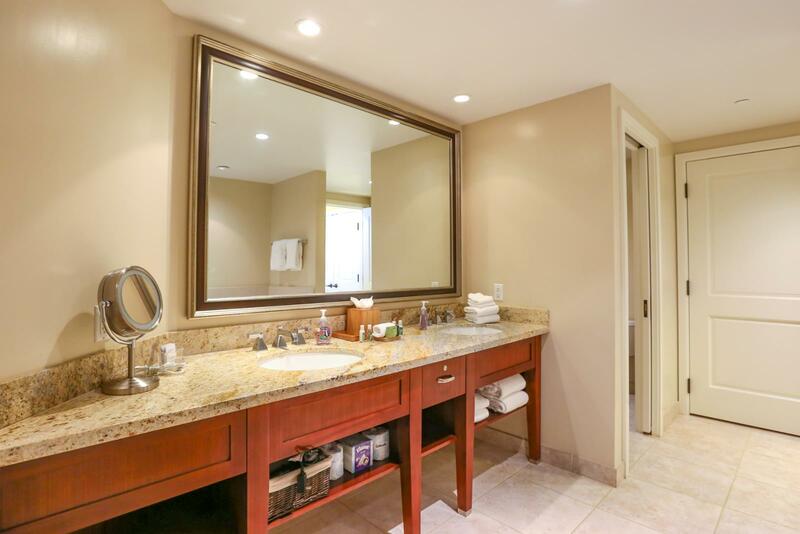 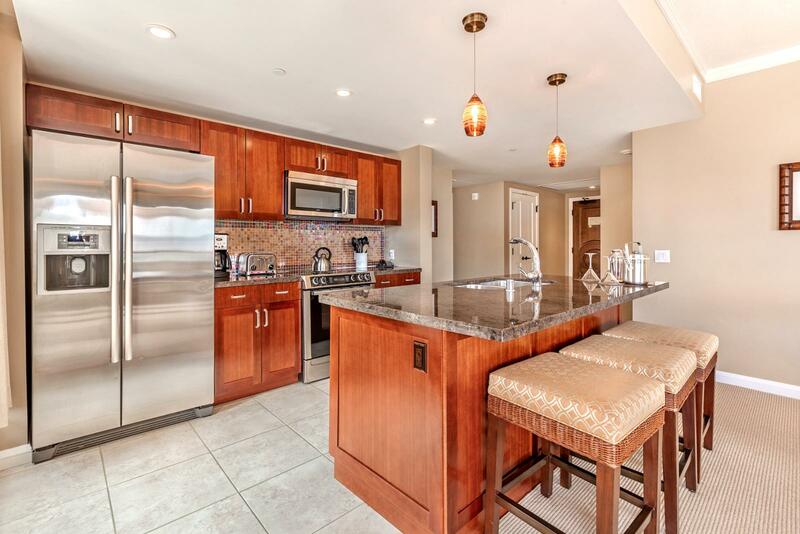 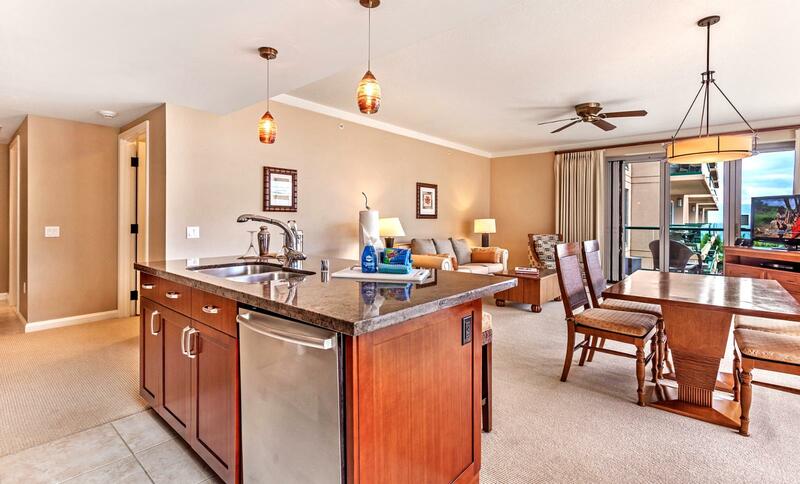 There are granite countertops in the kitchen and both bathrooms and each bathroom has dual sinks. 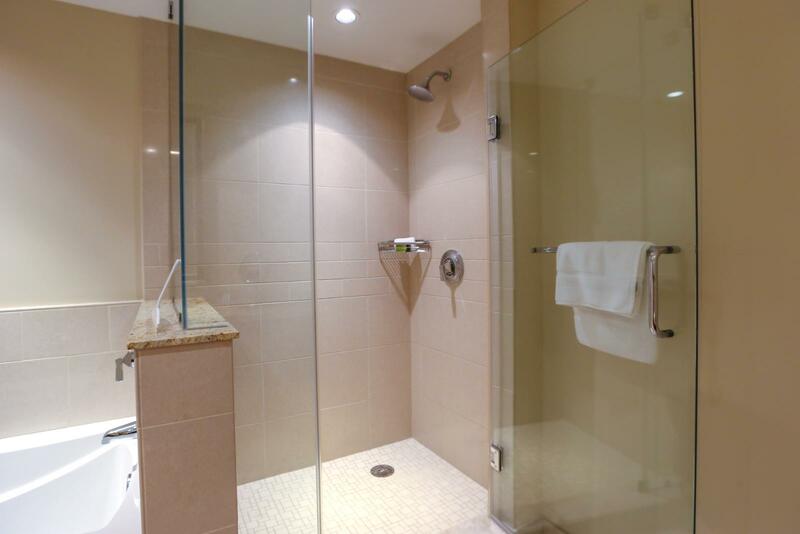 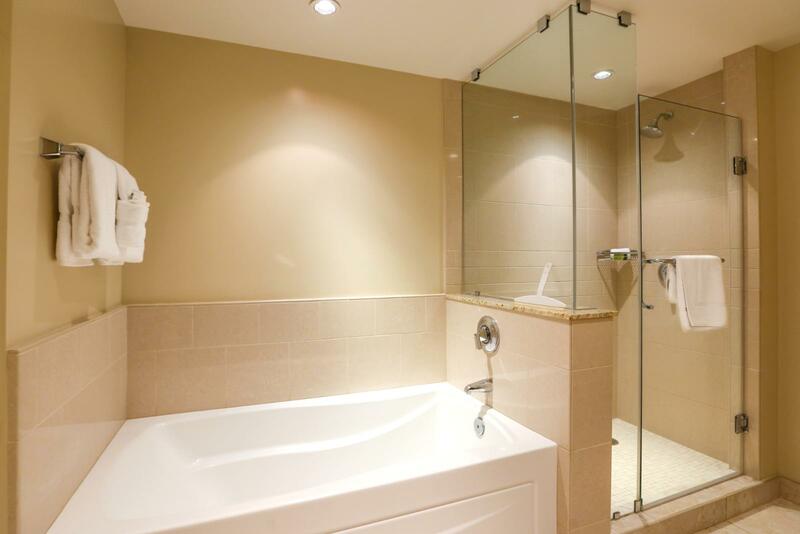 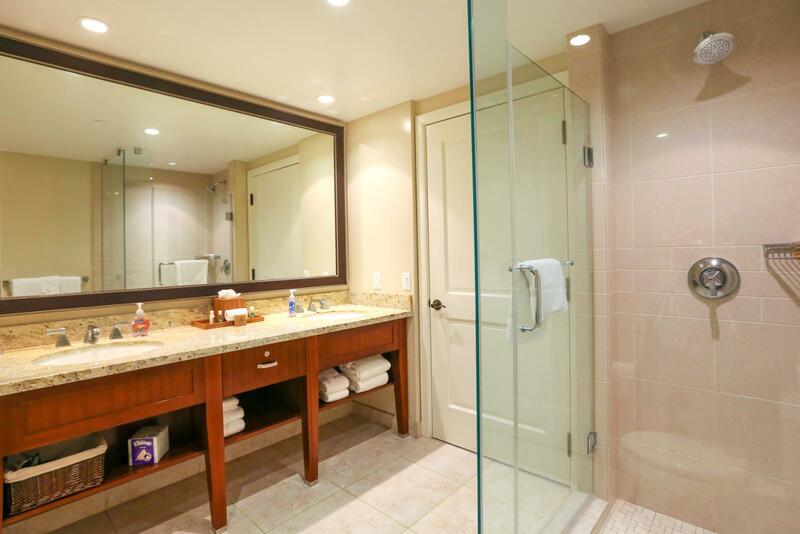 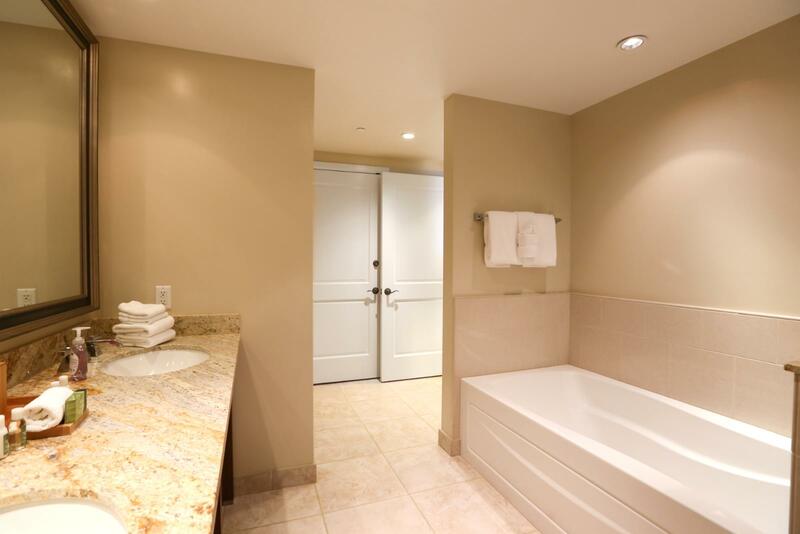 The master bathroom has both an enclosed glass shower and a separate tub while the second bathroom has only the enclosed glass shower. 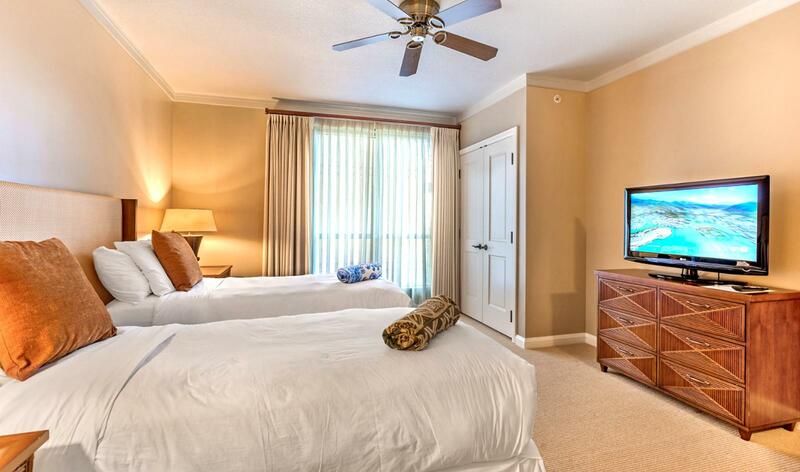 Beds in guest room may be made up as either two twins or one king, please specify when booking! 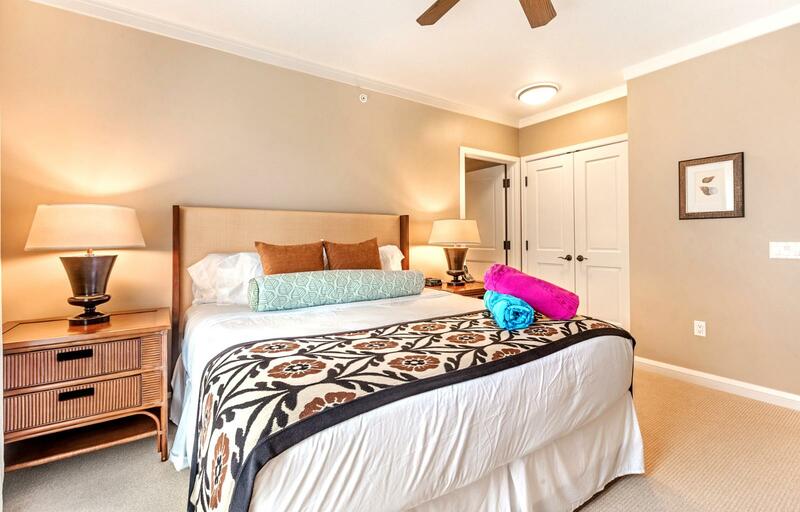 Beds in guest room may be made up as either two twins or one king, please specify when booking!